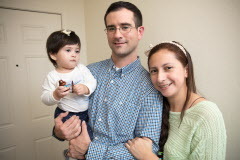 The Self-Help Homeownership Opportunity Program (SHOP) supports the ability of Habitat affiliates nationwide to serve more low-income families in need of affordable housing. Habitat affiliates utilize SHOP funding for land acquisition, infrastructure, and to purchase foreclosed and abandoned properties. SHOP is the only program administrated by the Department of Housing and Urban Development (HUD) that supports homeownership opportunities for low-income families. Help us protect SHOP by urging your members of Congress to support funding the program at $15 million in the fiscal year 20 Transportation-HUD budget. As your constituent, I urge you to support funding for the Self-Help Homeownership Opportunity Program (SHOP) at $15 million in the fiscal year 20 Transportation-HUD budget. SHOP is a small, unique program that supports the work of nonprofit organizations that employ the self-help homeownership model, a method that has assisted tens of thousands of low-income families, and fostered them to be committed, successful homeowners. SHOP funds are used to defray land acquisition, property and infrastructure costs, some of the most difficult activities for housing nonprofits to finance. National nonprofits compete for SHOP allocations annually through HUD and then grant funding to hundreds of local nonprofits in every state, the District of Columbia and Puerto Rico. Current grantees include Habitat for Humanity International, Community Frameworks, the Housing Assistance Council, PPEP Microbusiness and Housing Development Corporation, and Tierra del Sol Housing Corporation. SHOP is one of HUD's most successful programs. This effective program has enabled local nonprofit organizations since 1996 to build more than 30,000 homes and house more than 75,000 adults and children. Of these homes, 50% are in rural areas. SHOP grantees have raised a significant amount of private leverage and brought in more than $1.4 billion of investment into communities. SHOP is also one of only four federal housing programs out of 40 studies that received a top rating in OMB's PART evaluation system. Therefore I urge you to protect and preserve this highly effective program by supporting $15 million in the fiscal year 20 Transportation-HUD budget.